As regular visitors will know, I started this blog eight years ago. Since then almost all my emails and the people I’ve met from Pontypool have been saddened by the present state of the town which, in my boyhood days was a happy bustling town. Most people describe its present state as “dead”! A health worker in Pontypool told me what happens when people lose their sense of purpose. “You don’t get up in the morning. You might see a spiral in depression,” she said last week. “You lose contact with the outside world.” The dismal list went on: no self-worth, no self-confidence. As she talked, I realised her description didn’t apply only to people. Places and communities can be stripped of their purpose too. That is certainly what’s happened to Pontypool. If I could send Theresa May and her chancellor, Philip Hammond, anywhere before tomorrow’s autumn statement, it wouldn’t be to some love-in with big business at a swanky London hotel – but to this south Wales market town. It might make them think. The story of Pontypool is a story of riches squandered, of dynamism blocked, of an entire community slung on the slagheap. Sat atop vast deposits of iron ore and coal, it was probably the first industrial town in Wales. For a time, under Victoria, it was richer than Cardiff. Even now, to look along its skyline is to see traces of wealth: the park with its Italian gardens and bandstand; the covered market with its olde price list for snipes or a brace of pheasants; the 25 listed buildings that make this one of the most sumptuous small town centres in Britain. Then look down. On a typical weekday, the indoor market is a desert. Those bits of the high street that aren’t to let are betting parlours, vaping dens and charity shops: the standard parade for hollowed-out towns across Britain. The reason isn’t hard to fathom: the mines shut down decades back; the factories have pretty much disappeared. Those big employers still left aren’t big employers any more. One of the staff at BAE tells me that when he joined in 1982, it had 2,500 workers on its shopfloor; now, he reckons, it has 120. Swaths of Pontypool and the surrounding region of Torfaen now rank among the poorest in all Britain. On part of one of its housing estates in Trevethin, 75% of all children under four are raised in poverty. Over half – 53% – of all households who live on that stretch are below the poverty line. With that come all the usual problems: families that can’t pay the rent, that are more likely to fall prey to a whole range of sicknesses, from mental health to cancer. Those people can expect to die 20 years before their near-neighbours in some of the better-off areas in Pontypool. First the economy died out, now its people are too. Pontypool is like the rest of south Wales, like many other parts of Britain I have reported from. It’s what politicians and economists call “post-industrial”. That term, though, implies something coming after; here, hardly anything has come after. A few years ago Pontypool town centre was declared on the verge of death by a local councillor, who bore a coffin lid in a mock funeral procession. It’s a similar story in Hull, Sunderland, in so many places across Britain. For three decades Tories and Labour thought they could buy the acquiescence of residents with benefits and public-sector jobs. Then came the 2008 crash and the cuts that have followed. Then came the Brexit referendum. I visited Pontypool a few weeks before that vote – and it was on that trip that the suspicion dawned that the remain camp didn’t have it in the bag at all. True to form, Torfaen voted nearly 60% to 40% to leave the EU. Aditya Chakrabortty. The Guardian.com 22/11/2016 Reproduced with permission. “I came across your fascinating blog a few days ago and wondered if you knew anything about the houses in St James Field, Pontypool. We bought the house recently and it would be wonderful to hopefully discover some of its history. It’s a three storey Victorian / Edwardian semi detached house with some beautiful original features. I’ve made some brief enquiries of people who have lived in Pontypool for many years and none of them have ever heard of St James’ Field. When I attended West Mon, I know that St James’ Church was noted for its youth club which was very large and very successful; that was in the days when teenagers actually went out to meet friends in person not online. It was in the heyday of the youth club movement mostly in churches. I remember one day when I was in standard three at Town School we had a new boy who sat next to me. He was Geen Williams, the son of the new vicar of St James’ Church. He went to West Mon and became a member of the cricket team. If any visitor can help Leigh with his enquiries about St James’ Field, please email me or make a comment. I’ve recently received an email from Neil Roberts – published below – whose mother remembers a trip to Pontypool during WWII. If you are able to help him with any information, please make a comment. Last week we had a glorious short break in Newcastle near Monmouth which reminded my mum of a trip to Pontypool during WWII to stay with the grandparents. All she can remember was that she had a wonderful time and that the row of cottages were built into the hill/mountain and to get to the back garden she had to go up one floor and then out the back door. The toilets and the wash rooms were in a separate block along from the row of cottages and there was a river or canal in the front of the cottages. Her Grandad’s name was Fullard and he worked in the steel works. She believes it was called Forge Row or something similar. It would be great to get some feedback on this if possible so I could take my mum back there and hopefully show her roughly where it was. Hoping you or your readers can help us? Do you remember Barbara Davies of Pontypool? I’ve received yet another enquiry about a person who lived in Pontypool in the sixties; this time from Beryl Kennedy. I’ve highlighted some of the descriptions she gives hoping they might ring a bell with someone who might recollect the place. I’m trying to locate my aunt who lived in pontypool in the 60 when I last visited her home I remember she lived down a steep path with a wall around where there was a tap in the wall where I used to drink loads of water from as it tasted lovely her name was Barbara not sure of her married name but maiden name was Davies I remember her front garden (or even back) was very steep. There was a hill by her house that had sheep roaming. She had a daughter Stephanie and 2 more children. I would love to know if she is still alive and where this is she lives as I’m longing to come there one day to see her hopefully and where she used to live. Grateful for any help you can give. Please make a comment if you have something relevant. I’ve already received 117 comments. Another one from you will be welcome. Do you remember a synagogue in Pontypool? ‘On page 46 of the book edited by Ursula R.Q. Henriques, The Jews of South Wales, Historical Studies (1993) there is a map of Jewish settlements. Those places which had a synagogue are underlined. It appears to be complete but for short periods at any rate two other places had synagogues; these were at Pontypool and at Neath. I was alerted to these two by letters printed in the Jewish Chronicle, in 1867 and 1868. 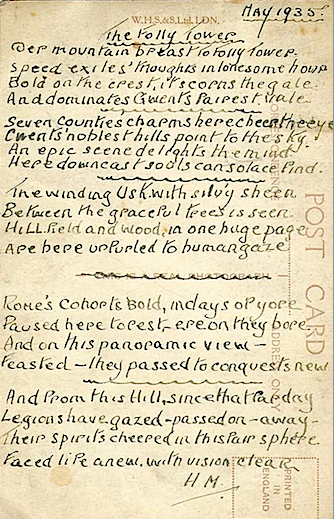 They were written by Henry D. Marks, of Cardiff, and were based on his visits to various places in South Wales. 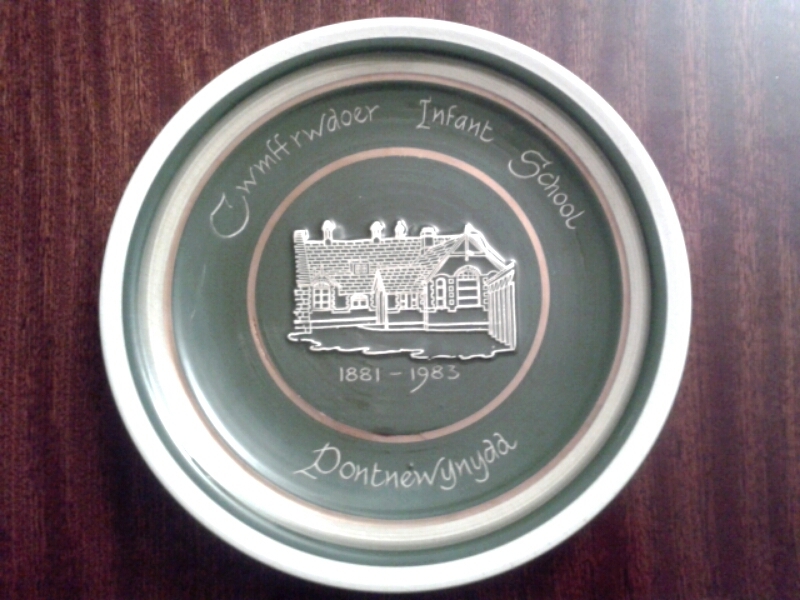 In the first letter, referring to Pontypool, printed in the JC on 1 March 1867, p. 6, he noted that the congregation was very small ‘consisting, in fact, of three families only, with sufficient males to form a “minyan” .’ He went on: ‘I am proud to say they consecrated a place of worship for themselves last week, and have engaged the services of Rev. D. Rosenthal, who acts as Hazan [in Hebrew] and Shochet [in Hebrew], and Teacher to their children’. 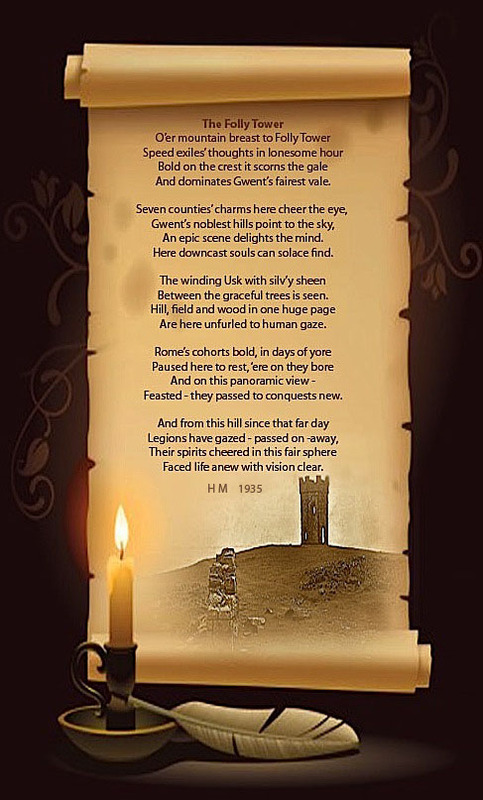 The consecration took place on 10 February 1867. The writer, Henry Marks, noted that the opening of the synagogue was due to the efforts of Rev. Nathan Jacobs of Cardiff who also gave ‘a most thrilling and appropriate sermon on the occasion’, which was reported in a copy of ‘a local periodical’ which he had included with his letter to the editor. This was the Pontypool Free Press of 16 February – a copy of which I obtained through the good offices of the Archivist of the Gwent Record Office. It contained a very full report of the consecration, amounting to several thousand words. The building was one which had been occupied by Mr Philip Hambleton, a builder and farmer, who appears in the 1851 Census as living in Wain House. The newspaper report stated that the two upper rooms had been ‘thrown into one’ and in the centre was a reading desk, opposite which was the Ark containing a Sepher Torah. ‘A portion of the room is railed off for the accommodation of the female members’. If any visitors have any of these surnames or can remember anything about the Pontypool synagogue, please make a comment or email me. I just wonder whether Wain House might have been in the Wainfelin area. 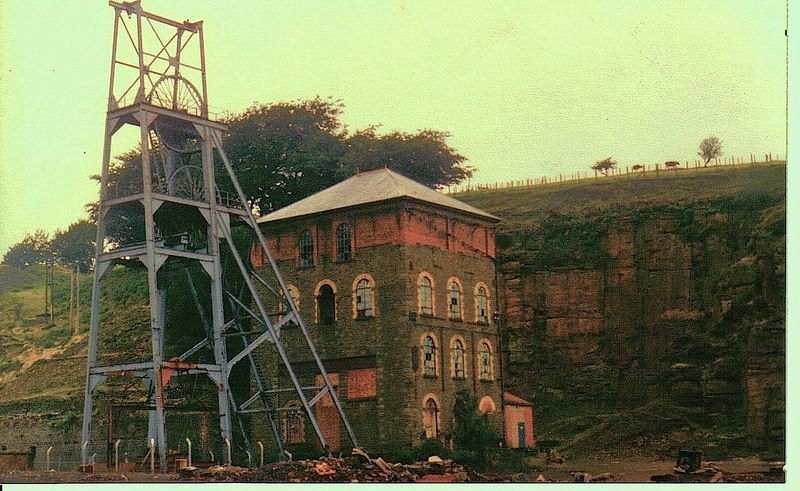 A number of visitors have expressed an interest in Tirpentwys Colliery. I’ve received from Dot Jones some photographs of it which are published below. 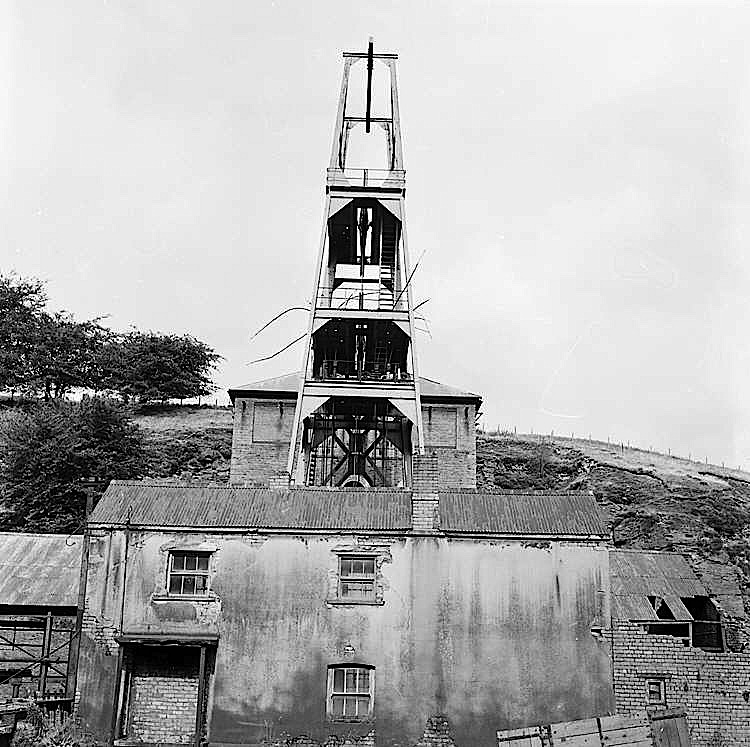 The first coal extracted from Tirpentwys Colliery was in 1894. A tragic accident occurred there in 1902 when eight men and boys were killed when a winding rope broke and the cage plunged to the bottom of the shaft. 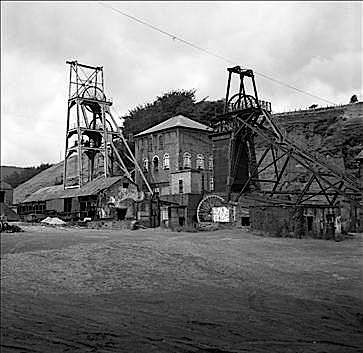 When I lived in School Lane our next door neighbour worked at the colliery. His name was George Bright and he had a wife named Clarice. Some visitors might remember him.